HIGHLY DURABLE AND ASSURES SAFETY. 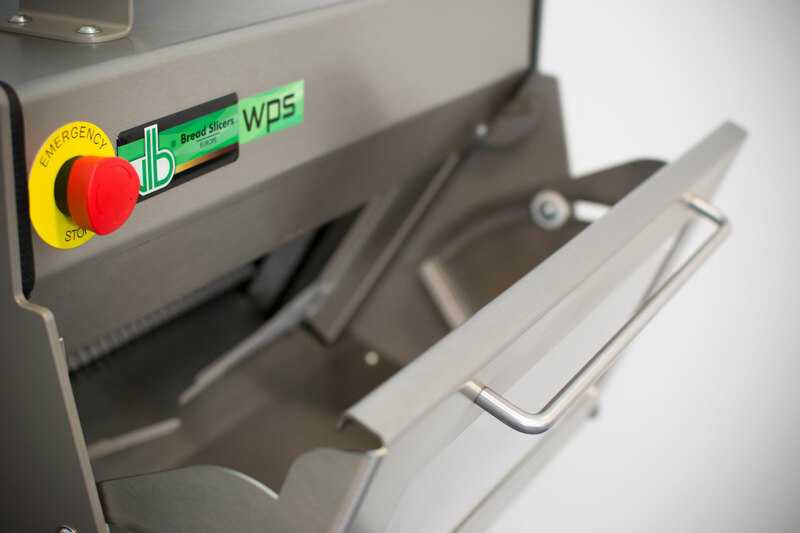 The VLB WPS was specially developed by our engineers to comply with the new European directives in safety for cutting machines in supermarkets. 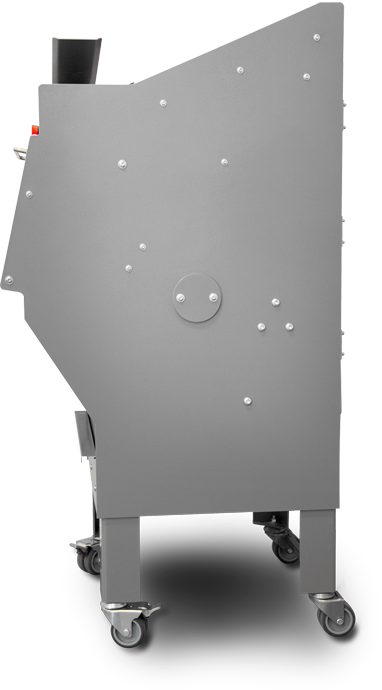 The old model, the WP, has disappeared and is replaced with the new WPS. 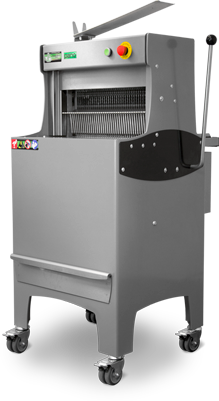 The WPS is a highly durable machine and assures safety via a central automatic lock, but also takes into account the efficiency regarding maintenance to the machine. 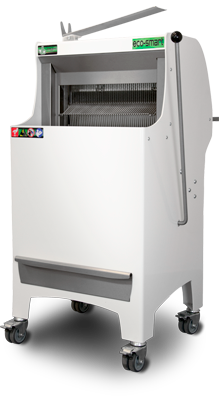 For supermarket customers, the WPS a relief compared to other almost robotic bread slicers. She was taken into account in the presentation of the input and output of the bread with the convenience of the customer and the presentation of the bread. Using specially designed LED lighting, the customer gets a perfect vision off the bread which will look even tastier. 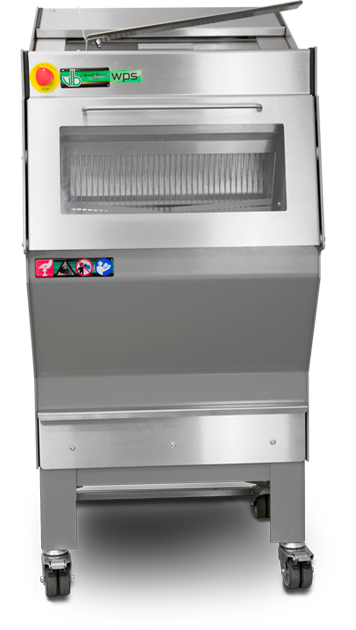 Crumbs disappear quickly from view by the position of the table and the extra slots lasered. 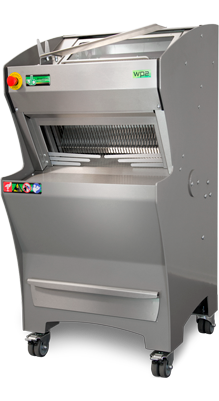 When opening the safety cover, you put the bread in the machine. 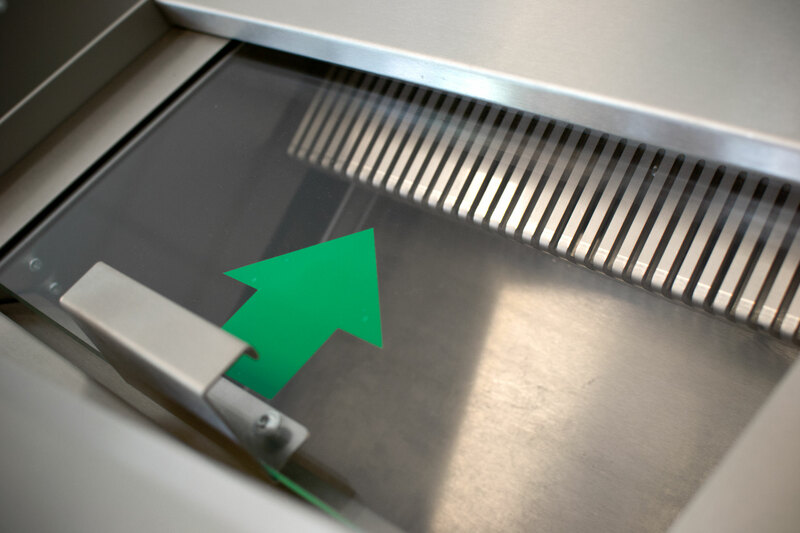 When closing the safety cover, the machine will start running. 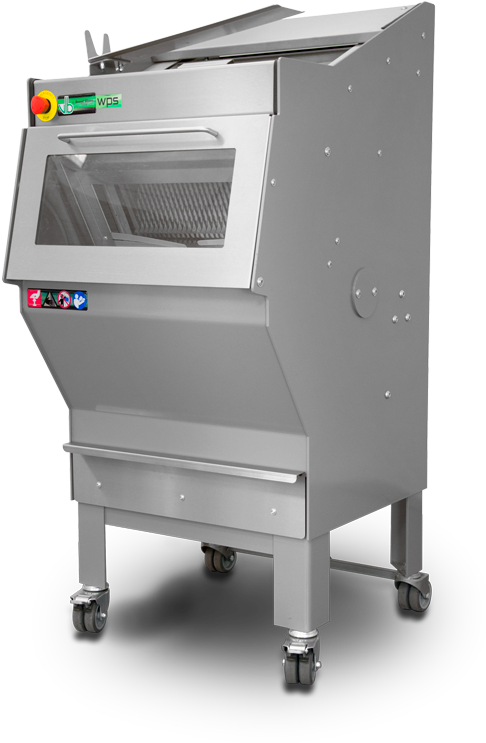 The bread will be fully automatically sliced on a safe way and the bread will be caught at the output by the plastic fingers, in the safety tray. This allows supermarket customers to cut their own bread in a safe way.